Located in the heart of Avonhead, just minutes from the airport, the city centre and Canterbury University, not to mention highly desirable schooling, Avonhead is a vibrant community with a steady influx of residents. Situated adjacent to the Avonhead shopping centre, the Grenadier Avonhead office has consistently been amongst the cities best performing branches, and has also received nationwide acclaim for their exceptional service and outstanding sales results. As a member of the Grenadier family, the largest franchise in the Harcourts stable, the consultants have access to an extensive, nationwide database, support networks, on-going training, cutting edge technology and the latest resources and tools. A pro-active, forward thinking company, Grenadier is constantly striving to educate and upskill their agents to ensure they have the knowledge and expertise to adapt and grow as the market changes and the industry evolves. Led by Licensed Branch Manager Lisa Yardley-Vaiese, this award winning team know their community here better than anyone else. With an emphasis on communication and keeping their clients informed and involved, and a desire to continually produce the very best results, Grenadier Avonhead should be your one and only stop when buying or selling property. Selling or buying your most valuable asset demands you think very carefully about who represents you and your home. Alister Eddington has been selling Real Estate successfully for twenty years. His reputation, loyalty and longevity in Real Estate are absolute testimony to his character and the way in which he does business. Choosing a Real Estate consultant can be very difficult and getting it right is essential. What defines Alister is his experience, his confidence and maturity and his genuine desire to help clients achieve their real estate goals. His success comes from having a comprehensive knowledge of the Canterbury and Christchurch market and an understanding of business practice matched with strong negotiating skills, integrity and determination. "Good Real Estate is about my ability to showcase a home in the best way possible to get the desired result. I like to instill complete confidence and peace of mind in my clients, utilizing my vast experience and expertise gained over a long and successful career in real estate. My success is only as good as my last sale; therefore my goal is to have continued ongoing business by way of referrals from happy satisfied clients." Alister is generous with his time and is a good listener who having spent most his working life in the sales and service industry values delivering a high level of service. 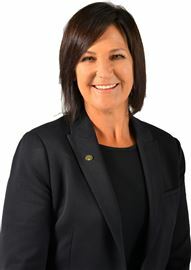 Enthusiasm and Commitment With over two decades as a sales consultant with Harcourts, and a consistently successful sales record throughout this time, Annette can offer a wealth of experience in the residential property market. Over the years, Annette has developed a deep understanding of: What home buyers are looking for, why it matters to them and what motivates them to buy. The best ways to sell a home in all market conditions, both the peaks and troughs. How to best avoid the pitfalls and leverage the opportunities throughout each step of the sales process. The key factors involved in negotiating and signing off a successful sales agreement. 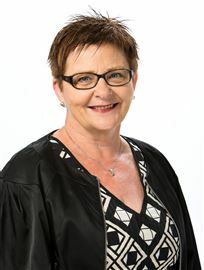 Annette’s clients invariably appreciate her positive, easy going manner and her in-depth knowledge of what to do, how to do it and when to do it. Most of all, they appreciate her dedication. Annette brings the same dedication to her real estate work that she once brought to her paid and voluntary work in a variety of roles in the community, in addition to caring for her own home and family. With a real interest in people and their homes, Annette takes a great deal of pleasure in matching up the right people in the right place at the right time. Her knowledge, skills and experience are at your service. 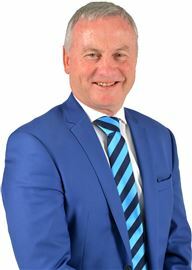 Based in Avonhead and having developed and built, bought and sold nearly 300 properties throughout the course of his life, Bruce certainly knows a thing or two about the Real Estate industry. Drawing on the knowledge he gained through practical experiences, Bruce has combined his staunch work ethic and his commitment to putting his Canterbury vendors first to create a highly successful career in the Real Estate industry, a fact backed up by the testimonials and high volume of repeat business he attracts. In addition to his experience in the construction industry, Bruce spent over 20 years as a bank and finance manager, giving him a unique insight into the process of buying property, from start to finish. Committed and driven to succeed on his client’s behalf, Bruce credits much of his success as a Real Estate agent to his pro-active approach. "I don’t just sit back and wait for a deal to happen, I go out there and find a buyer, and am always looking to marry purchaser’s to properties that I think will fit their needs" It’s this philosophy that allows Bruce to maintain his high standards and live up to his promise to sell homes as quickly as possible, while achieving the most desirable outcome for his clients in Canterbury. Combining an in-depth expertise of the local market with a career history revolving around customer service and relationship building, Geoff Cropper prides himself on the incredible amount of referral and repeat business he experiences. Having spent the bulk of his life in Christchurch, Geoff has an intimate knowledge of the local region, and since entering the Real Estate profession in 1994 he has achieved success selling homes city-wide. Considering himself very much a ‘people person’, Geoff approaches all clients with an aim to make them ‘clients for life’. Trust, honesty and integrity are the key factors Geoff attributes to his capacity to build rapport with a broad range of people, and his ability to genuinely listen to people’s needs gives him the insight necessary to achieve the results his clients are searching for. “At the end of the day I am working for the client” says Geoff, “so making sure they are looked after, kept well informed and feel like they are part of the process is my key concern. Listening to their needs and responding to them is my first priority.” Geoff sets high standards for himself, and prides himself on his ability to deliver a service which consistently achieves great results. As a results driven salesperson with the respected Harcourts Grenadier team, Jacq Lawler has the backing and experience to deliver the outstanding results and service every Canterbury homeowner deserves. Jacq’s market insight is further enhanced by Harcourt's leading technology, extensive buyer reach and advanced marketing solutions. With a strong reputation and national awards for outstanding results in sales and service in her previous career Jacq commits to effective and exclusive solutions, offering the edge required to achieve top results for her clients every time. Resourceful and proactive, Jacq combines effective communication skills with extensive property and sales knowledge to identify opportunities and deliver outcomes for her clients. Jacq prides herself on trust and honesty and looks forward to starting a long term property relationship with you today, buying, selling, landlord or just simply keeping up to date with values in your neighbourhood, call Jacq today, it's not just about selling! Over the past 20 years Lin has enjoyed a hugely successful career in real estate, regularly ranking amongst Harcourts’ top performing agents city-wide. Energetic, driven and focused, she’s pretty much seen and done it all when it comes to property, with her highly-developed negotiation skills helping her thrive in both buoyant markets and in more challenging times. Being a Chinese speaker doesn’t mean she only works with the Asian market. But being bi-lingual does mean she’s able to connect with an incredibly wide range of buyers; an advantage that invariably reaps rewards for the clients she represents. Of course, she’s got all the qualifications you would expect, including her Salespersons Certificate and a Bachelor’s Degree in Civil Engineer. But if there’s one thing that really reflects her ability it’s the high volume of repeat business she attracts – something Lin attributes to her frank, honest approach and her capacity to connect and communicate with people from all walks of life. If you’d like to work alongside a real estate professional who constantly provides impeccable service and consistently achieves exceptional results, then call Lin today. Remember, it costs nothing more to partner with one of the industry’s best! If, as they say, a face can launch a thousand ships, then Lisa Wong’s infectious smile could sell a thousand houses and, indeed, she has been involved with many, many successful real estate transactions in her 11 year real estate career. Armed with an effervescent, intoxicating personality and coming from the background of teaching and mass media, it is not surprising that Lisa has such excellent interpersonal skills. This is reflected in the strong reputation she has earned in the industry and the mutual respect she enjoys among the people working with her. International investors and immigrants form a vital group of buyers in the New Zealand housing market – something Lisa is acutely aware of. 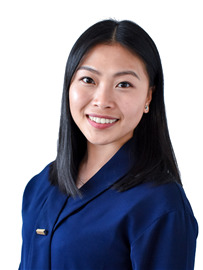 Fluent in English, Cantonese and Mandarin, Lisa is passionate about promoting Christchurch and, incredibly comfortable dealing with people from all walks of life and from different ethnic backgrounds, knows how to make the buying/selling process as straightforward and stress-free as possible. Achieving consistent results in real estate, requires unwavering commitment. Lisa genuinely cares about her client’s needs and prides herself on having their best interests at heart. Drawing on her own experiences buying and selling numerous properties, Nicky’s real strength lies in her ability to genuinely empathise with her clients. Having been on both sides of the equation, Nicky knows that what people really value in their Real Estate agent is commitment, communication and honesty. Using this philosophy to build rapport not only with her clients, but also with potential purchasers, Nicky has experienced far reaching success in all aspects of the local market, and including dealing with exclusive, high end properties. Married with two daughters and living locally in Avonhead, family life has given Nicky a fresh perspective on life. “At the end of the day, if I am able to simplify the process for someone, make it an easier, more enjoyable experience for them, and achieve the results they were looking for, I’ve done my job”. Nicky sets high standards for herself, and gains huge satisfaction from seeing the smile on a new purchaser’s face, or achieving the goals set out by her sellers. Her energy, work ethic and passion for the industry are almost boundless, and it’s these attributes that make Nicky Brownlee one of the most respected Real Estate agents in Christchurch. Experience – with over 30 years as a Real Estate professional, Phil Rotherham has a wealth of experience to call on, and an in-depth knowledge of the Canterbury property market which is second to none. 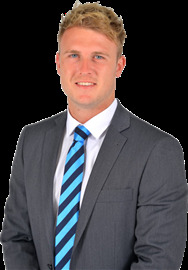 Achievements – Phil has consistently placed in Canterbury’s Annual Top 20 performing agents, and has received nationwide acclaim throughout his career. Why? Because he sets high standards for himself. He strives to achieve the best possible results for all his clients, and his desire to attain these results has never wavered. Motivation – Phil’s energy and drive comes from a combination of being passionate about the property industry, and his love for meeting and dealing with people from a diverse range of backgrounds. His ability to move with the times and adapt a marketing plan to suit individual client needs makes Phil the obvious choice when it comes time to sell your home. I’ve enjoyed a lot of success over the years, and of course the accolades are satisfying, but nothing is more rewarding than the smile on a new purchaser’s face, or helping a client achieve the sale of their home. Sarah originally was a qualified Banking Advisor for Bank of New Zealand, so combining her knowledge in Finance and Real Estate to help people save & work towards getting into their new home, as well as working alongside First Home Buyers is something Sarah is very passionate about. With her knowledge in finance, she can share her skills to help you get into that dream home faster. Sarah is very determined & motivated, and having worked in Retail, Sales, Finance & her biggest role, being a mother to three children, Sarah knows how to keep things as stress-free & enjoyable as possible & will always have a laugh along the way. So I’m sure you will not only have fun working with Sarah, but with her strong competitive nature, open communication & smiling face, this will be an experience you won’t forget. For any assistance with your real estate dream call Sarah today. 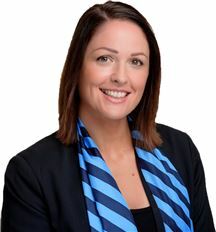 Terri Winder is a Residential and Lifestyle Sales Consultant at Harcourts Grenadier Real Estate and holds a Bachelor of Business through Massey University. Her business is about long-term client relationships. “We devote ourselves to providing an exceptional client service before, during and after each sale. This starts with shaking their hand at our first open home to delivering their settlement gift on the successful sale” She offers the following advice: “If you think it’s expensive to hire a professional, wait until you hire an amateur. It is the process, not the promise of a price, that will get you a premium price in today’s market” Terri loves crossfit and yoga, playing with her two Labradors, and spending time with her partner, family and friends. She supports a charity that is focussed on curing treatable blindness and improving health care services, education, and the environment in the Pacific regions. Terri founded the Selwyn Young Professionals which is an intiative dedicated to connecting young professionals and sharing knowledge within the Selwyn community. A Honey At What Money? Sunny, Secure & Scarce As!! Ooh's & Aah's at Arlington! Sunny, Secure & Spacious !! Opportunity Hare . . .
A Long Tenure Speaks Volumes! All the 6's, Clickety Click! Built to Last, Priced to Sell! Reclad & Ready to Go!! First Home in the Zone! Vendor Bought - Sale Sought! Priced to Sell, Well Below RV! Here is The Low Down! Best Buy in Wigram Skies! A timeless Rose- Ignore RV! Pretty Nifty for the Over 60!